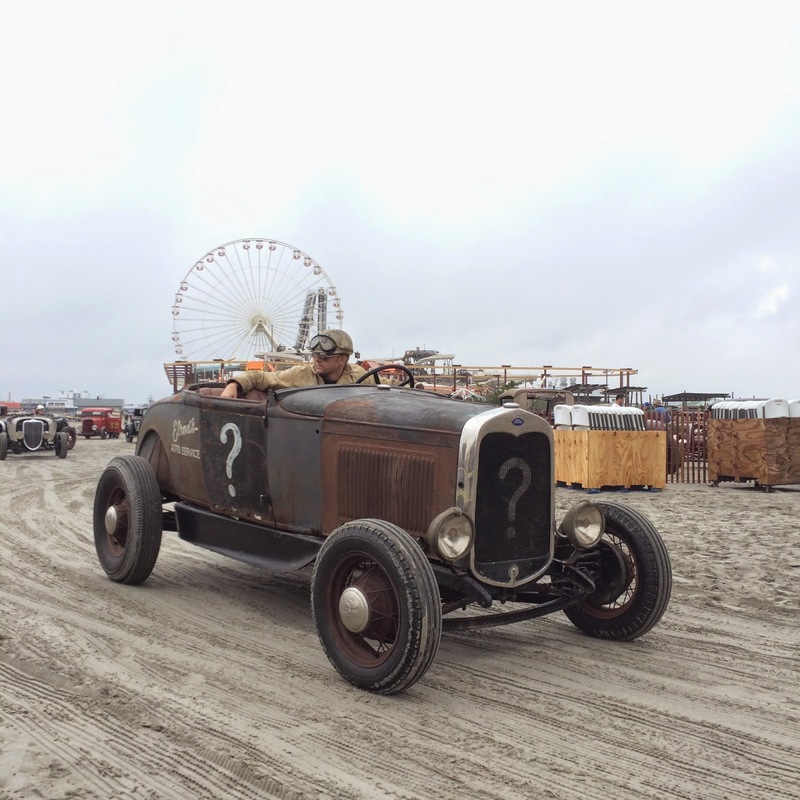 For the past two years, I have seen some awesome photos and video from the Race of Gentlemen. This year I decided that I would travel back to Wildwood, New Jersey and check out this unique event. 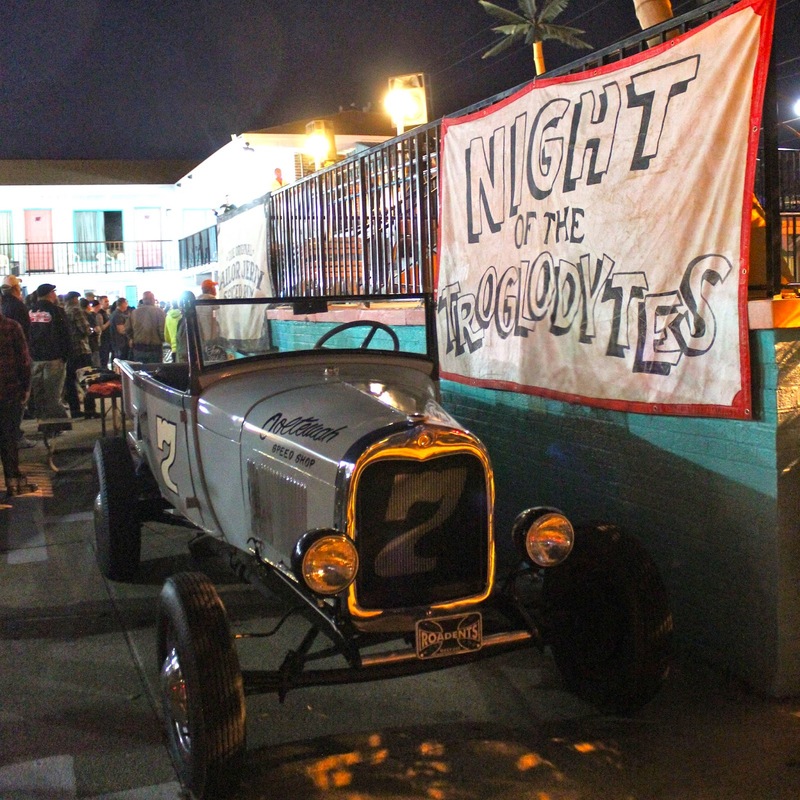 The Oilers Car Club, the group that organizes the event, makes sure that TROG weekend is a throwback to the 1920s-1930s. Friday night was the opening night party at the Surfcomber Hotel. 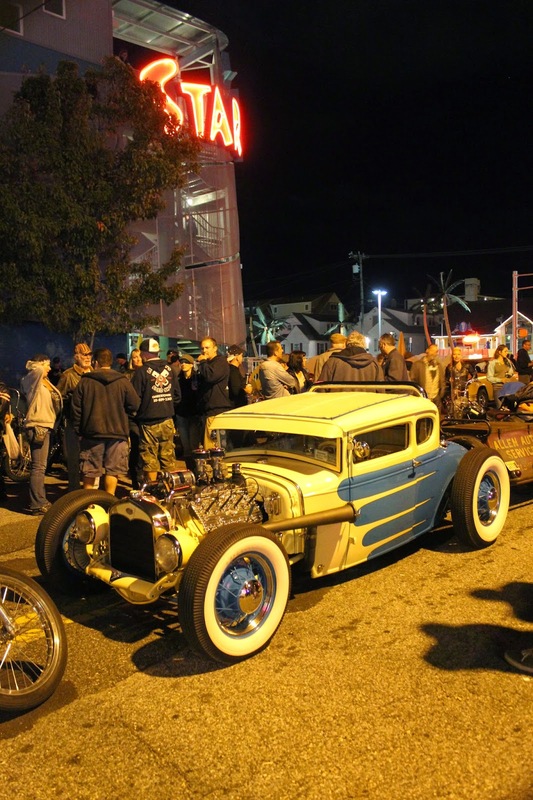 For those of you who haven't been to Wildwood, it is a east coast beach town with small motels and a boardwalk which makes it a the perfect venue for this event. 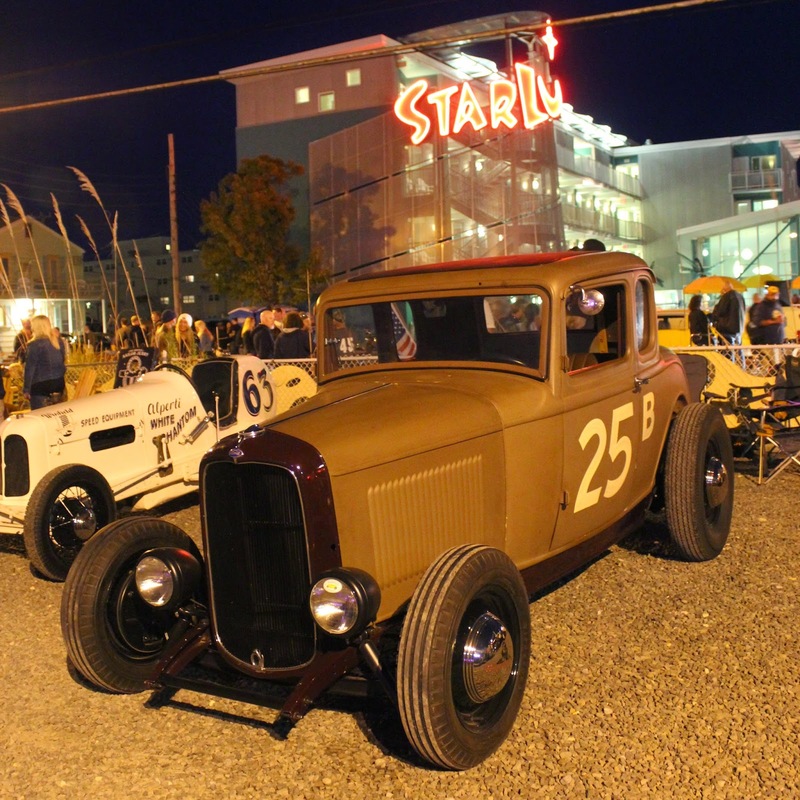 The opening night party attracts plenty of classic cars and motorcycles to the host hotel for some live music and socializing. Tons of people packed the parking lot of the host hotel to enjoy live music and some custom motorcycles. The racing action started early on Saturday morning. The weather wasn't that great to start the day, but it did not put a damper on the racing or event. 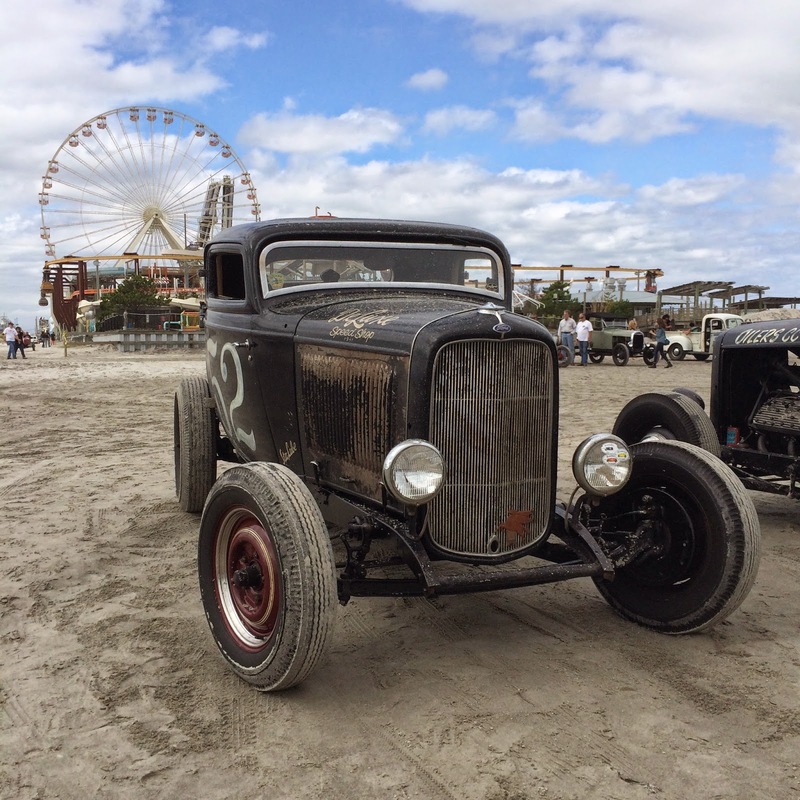 The Race of Gentlemen attracted a great group of pre-war cars and motorcycles to race along the shoreline at Wildwood. The racing took place right on the shoreline. The Race of Gentlemen raceway is only open for a few hours each day, so the drivers and officials were constantly lined up and ready to race. The racing began when the tide went out and continued until the tide came back in the afternoon. Just one of the many vintage Indian motorcycles at TROG. The staging area to go down the beach. The pit area is where the hot rods were parked in between runs. 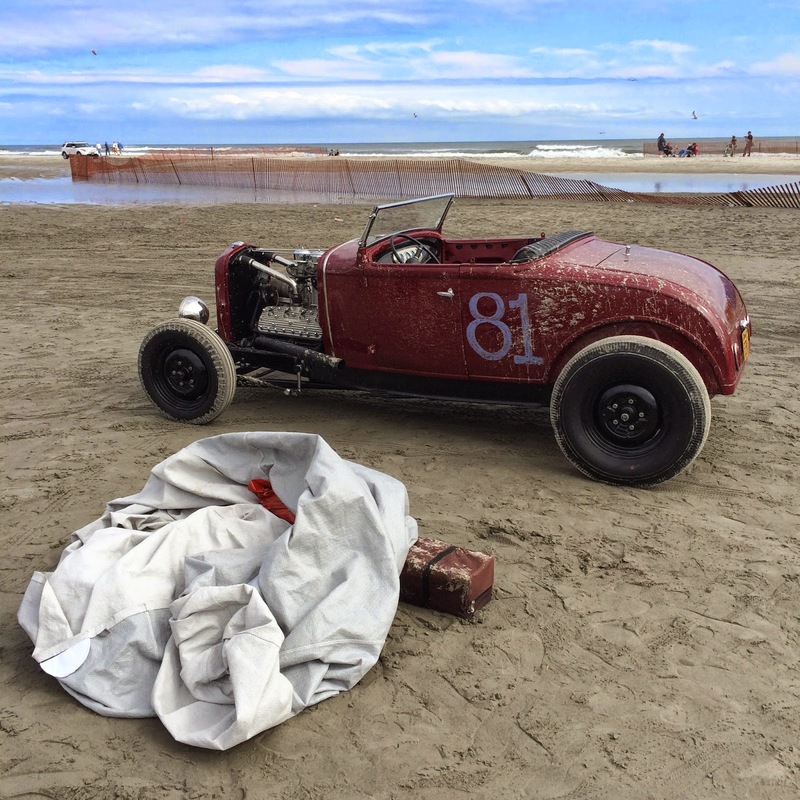 It was mainly a roped off section of beach to do some repairs if needed because drivers were constantly rushing back to the starting line to race again. The return road from the finish line ran right along the shore, so as the tide crept in, racing eventually would have to be called for the day. There was a large line of spectators to enter The Race of Gentlemen all morning. 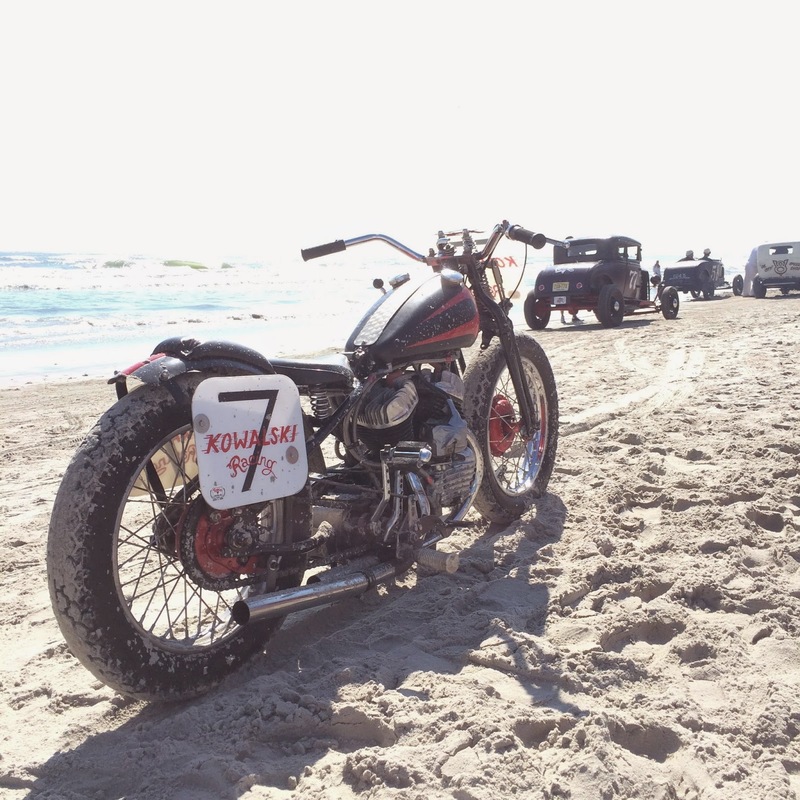 One of the event sponsors, Harley-Davidson, had a large display of vintage Harley motorcycles at The Race of Gentlemen. A flag girl signaled Go! to the drivers at the start of each race. 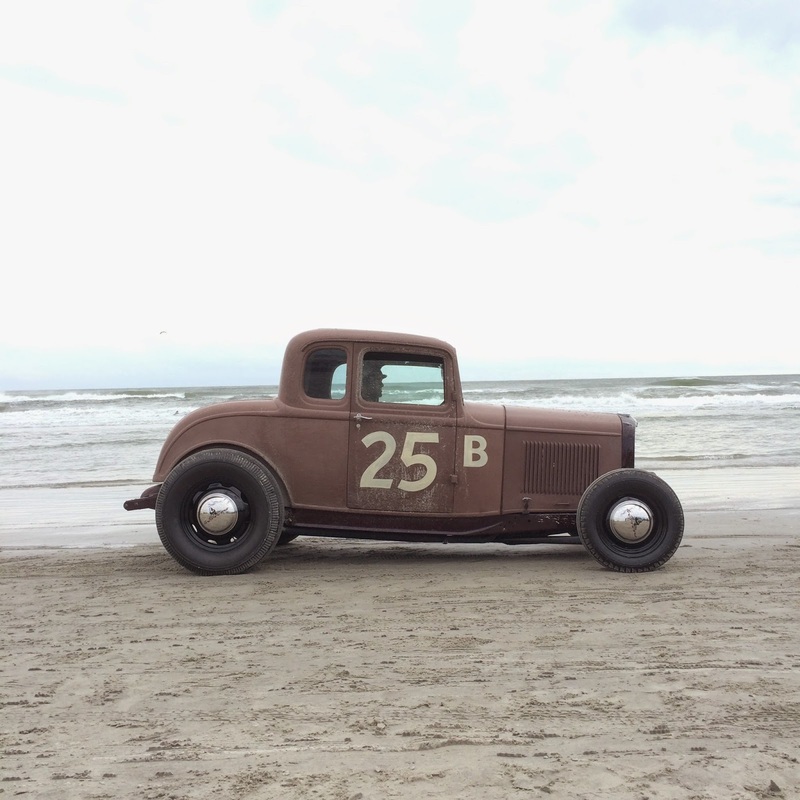 The crew from Hemmings Motors News were on hand with their vintage tow truck to help pull stalled hot rods off of the beach. Between the water and all of the sand, a few classics got stuck and needed a tow. One thing that was unavoidable at the race was dirt. The Race of Gentlemen crew was always ready in case someone needed a hand or push. With all of the wind, mud and rain, sadly there just wasn't much use for this car cover. 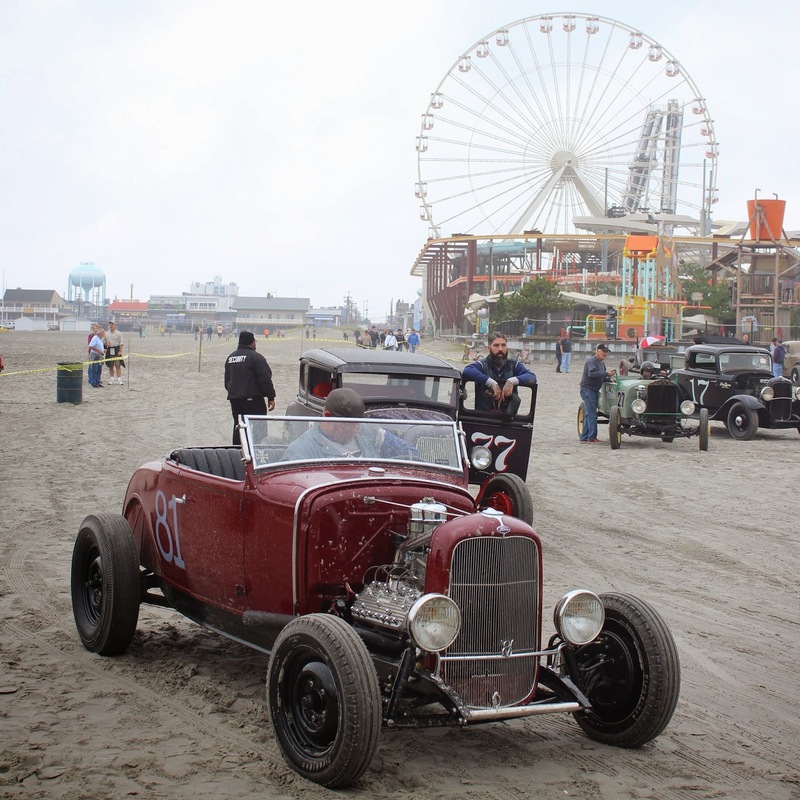 On Saturday afternoon, the Customs by the Sea Car Show took place right down the street from the Wildwood Convention Center. The show featured a nice group of traditional hot rods and customs. This tradition style pickup had plenty of unique details. Thank you to the Oilers Car Club for putting on a great event. 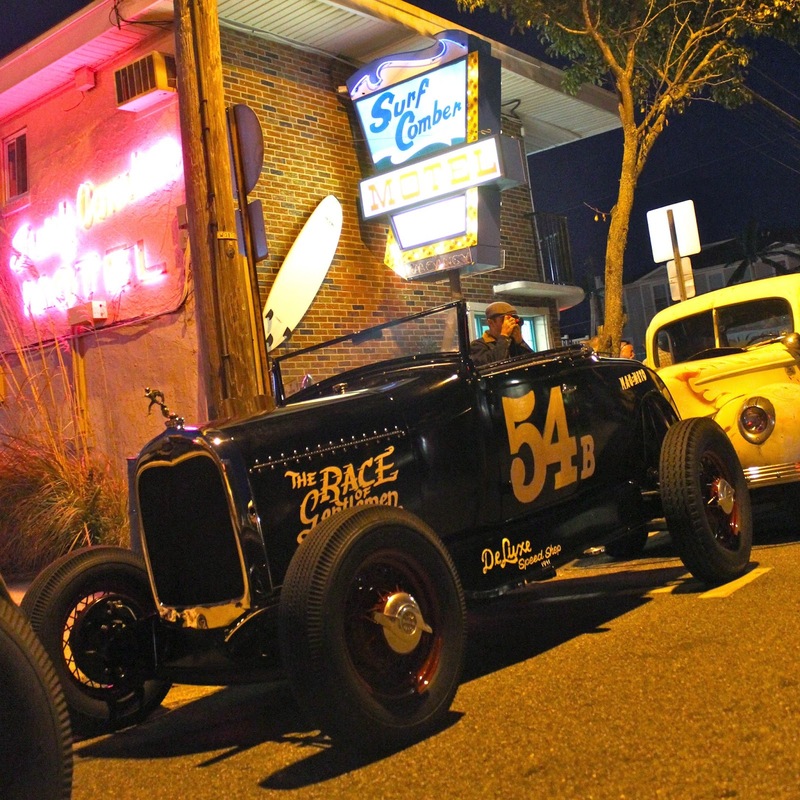 I had a great time in New Jersey and look forward to my next opportunity to attend The Race of Gentlemen. For more details on great classic car shows from around the country, follow along on the California Car Cover blog.